08. 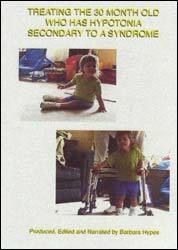 Treating a Child Who Has Low Tone – Secondary to Down Syndrome (DVD) – Therapeutic Services, Inc.
How long the therapist actually WAITS to allow the child to integrate and activate new motor control. 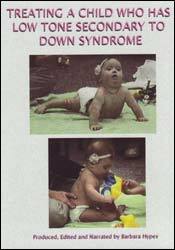 It is intended that observing this DVD will assist the therapist in how to treat a child who has low tone secondary to a diagnosis of Down Syndrome. How the child becomes more integrated simply by lifting her into space to increase the need for co-activation. How to facilitate the child into space while keeping their body supported on the surface. How to help the child become more stable into the surface by facilitating the child 3 dimensionally into space. 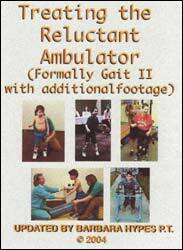 How to promote active assisted strengthening by making the extremity weight less yet stay dynamic. 1.5 contact hours. Certificates will be awarded. Recognized by the NY State Education Department’s State Board for Physical Therapy as an approved provider of physical therapy and physical therapy assistant continuing education. Approved for .15 CEUs. 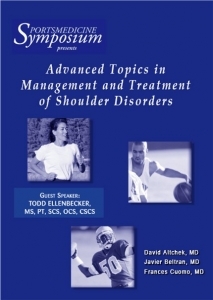 TSI is an AOTA Approved Provider of continuing education. AOTA does not endorse specific course content, products, or clinical procedures. Approved by AOTA for .15 CEUs. Each additional viewer wanting CEUs: $25.00; includes post-test and certificate of completion. PLEASE NOTE: Certificates of completion will only be issued upon completion and return of post-test to TSI. "I always love attending TSI courses because I know there is a consistent standard of excellence. The quality of the lecture, setup of room & overall organization was excellent!"